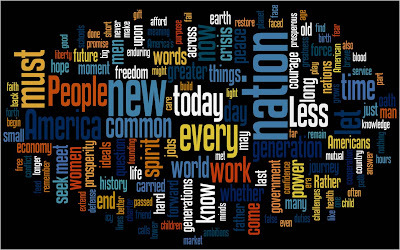 I created a Wordle tonight from the text of President Obama's Inaugural Address yesterday. I love Wordle. Great tool to bring text to life for visual learners. wow wordle is a really cool way to make history content standards fun and engaging. thanks for the post!